Welcome to the School of Liberal Arts, a fast-growing, dynamic and active community of scholars and writers! Our quest is for excellence in teaching, research, and service. We seek to engage students with a diverse range of subjects in a global and Indian context. Our teaching mission is to encourage and motivate students towards a thorough and informed critical study of the humanities and social sciences, and to make connections between reading and writing practices. As part of the School of Liberal Arts, the department offers programs in English, Psychology & Economics. We take full responsibility of our students. We believe in addressing not just the errors on the pages of assignments and test papers, but also the larger errors of history, circumstances and institutional practices that can erode an individual student’s ability to discover and fulfil his or her true human potential. As part of a research-based university, all students are encouraged to engage with the department's areas of research. 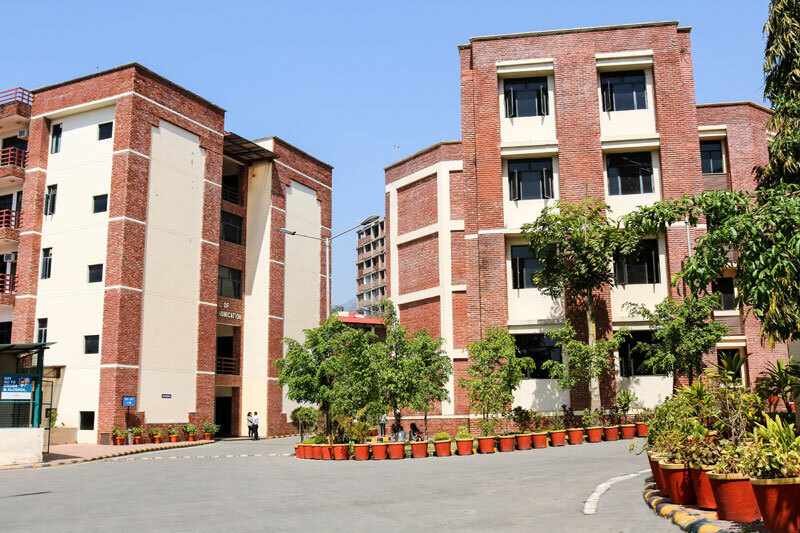 Our faculty have a wide-ranging and interdisciplinary research training, reinforced by diverse learning and teaching experience from Indian and international universities. Their current research interests are in fields like English Language Teaching, Linguistics, Renaissance Humanism, History, Politics, Modernism, Women’s Studies, Speech and Pronunciation, Human Behavior, Communication, Travel Studies and Creative Writing. 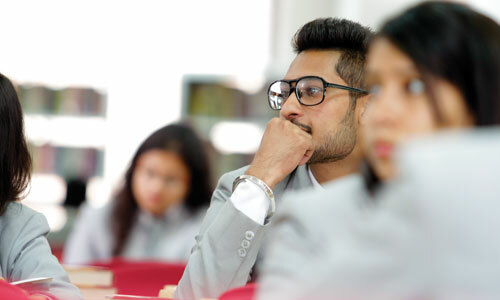 The programs at IMS Unison University are uniquely tailored to the Indian student of literature in the 21st Century. 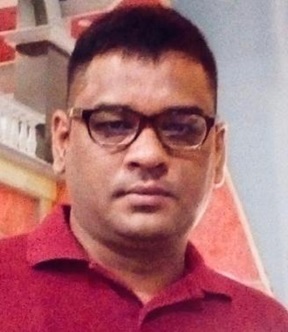 We find that, today, students have to necessarily build bridges between their Indian identity, rooted in their mother tongues and a global identity founded on the English language. Therefore, our curriculum, which is both regional and international in orientation, exposes students to a wide variety of academic traditions across time and space. It places a premium on reading broadly but also deeply. Our students study the intimate relations between language, literary form, history, and culture, as well as discover and explore points of affinity and difference across borders of culture and chronology. It is crucial, in the current global context, that students are trained to write in clear, articulate English and the Department offers courses in Academic and Creative Writing and Communication to be taken by all students, who will, in the process, learn to communicate effectively both orally and in writing. Through rigorous high standards of teaching and experiential learning methodologies, our undergraduates acquire skills of self-reflexive critical thinking along with historical and literary analysis. Thanks to this broad-based education pedagogy, students graduating from the Liberal Arts programs at IUU will have a variety of career options not typically available to their counterparts at more traditional Indian universities. Like students from traditional programs, our English and Psychology graduates will have the opportunity to pursue higher studies leading to academic research positions at national and international universities. corporate positions involving critical writing and psychological analysis such as investor relations, counselling and marketing. Students can also go on to pursue careers in the civil services, teaching and positions in non-governmental and cultural and artistic organizations. At IMS Unison University, the School of Liberal Arts has been founded with a mission to help shape the future of education as well as of our citizens. Our avowed purpose is to prepare leaders who are capable of balancing a rich base of knowledge and diverse expertise with a well-grounded sense of social and ethical responsibility and capacity for independent critical thinking. It is these qualities and skills of discernment and objective analysis that will distinguish our graduates as future leaders. In their capable hands, the multi-dimensional success of India and her esteemed place in the global community will be assured. As founding Dean of the IUU School of Liberal Arts, I take great pleasure in inviting you to join us in this great and exciting journey. We will explore civilizations, examine histories and economies, puzzle over scientific and philosophical theories, read literary texts from multiple perspectives, appreciate differences of gender and culture, plumb the depths of the human psychology through critical analysis and research. Our B.A. Honors programs offer undergraduate students a unique learning experience, while working with internationally trained faculty and top artists and professionals. Eligibility : 10+2 in any discipline with minimum 45% marks and English as a subject.